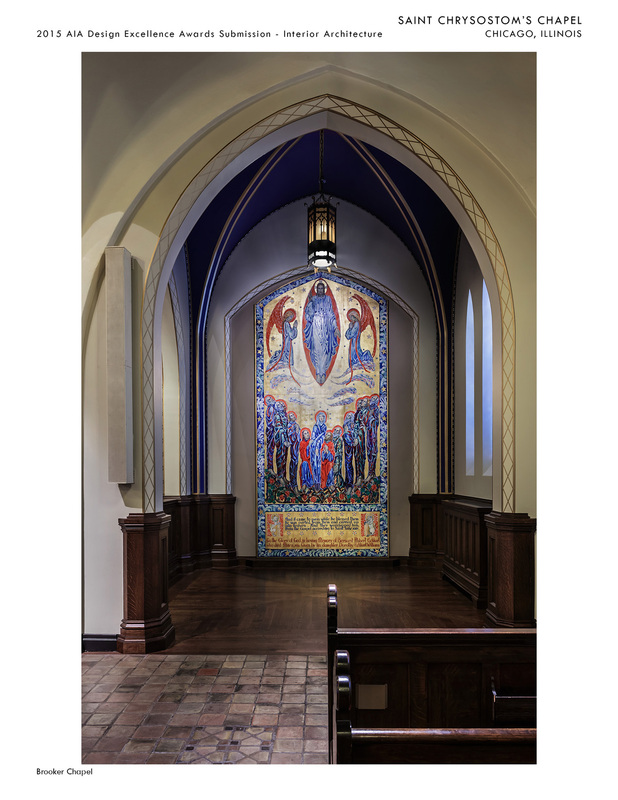 The Brooker Chapel at St. Chrysostom’s Church in Chicago’s Gold Coast balances an ensemble of interior spaces that together comprise a sanctuary that reflects the church’s growth and transformation over the course of more than a century. 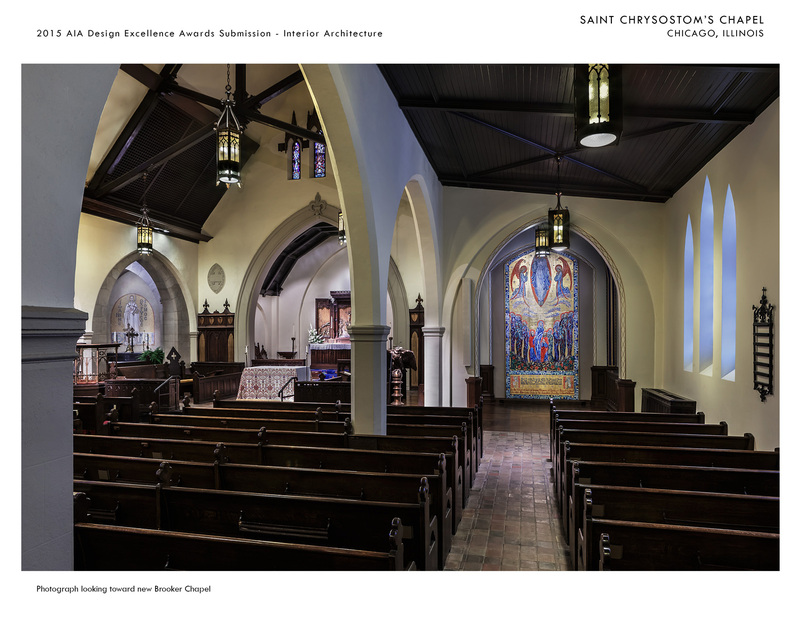 The new chapel occupies a former organ loft at the front of the sanctuary, made available upon completion of a new organ. 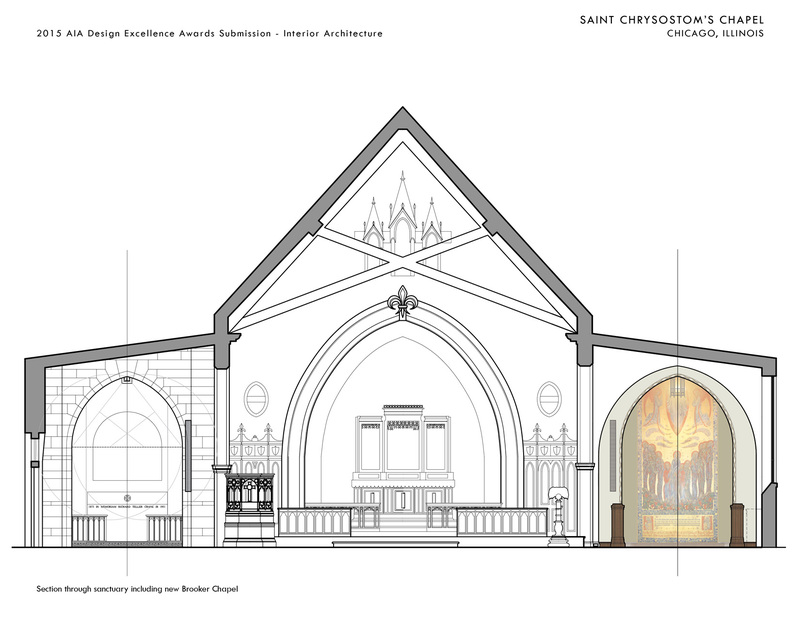 The new chapel completes the ceremonial front of the church, balancing David Adler’s elegant Crane Chapel situated at the opposite side of the central dais and engaging formerly isolated aisles of seating. 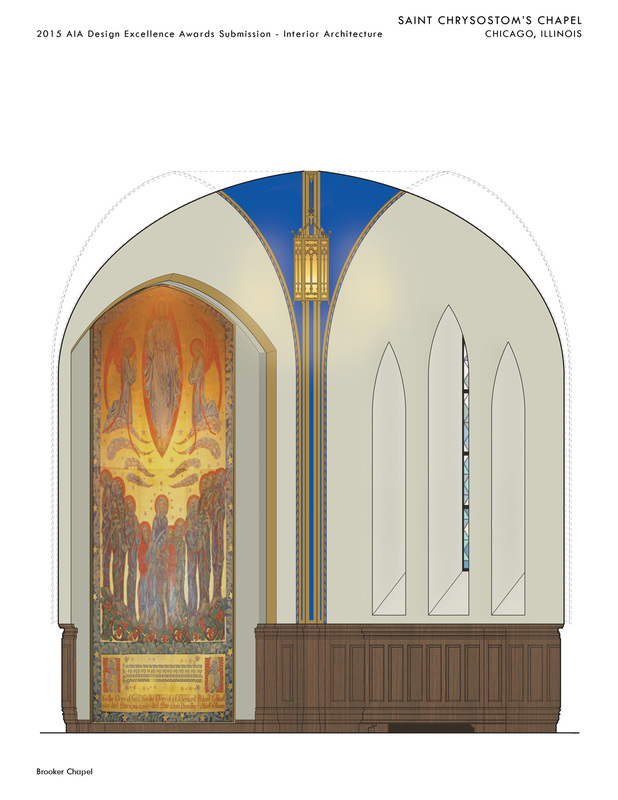 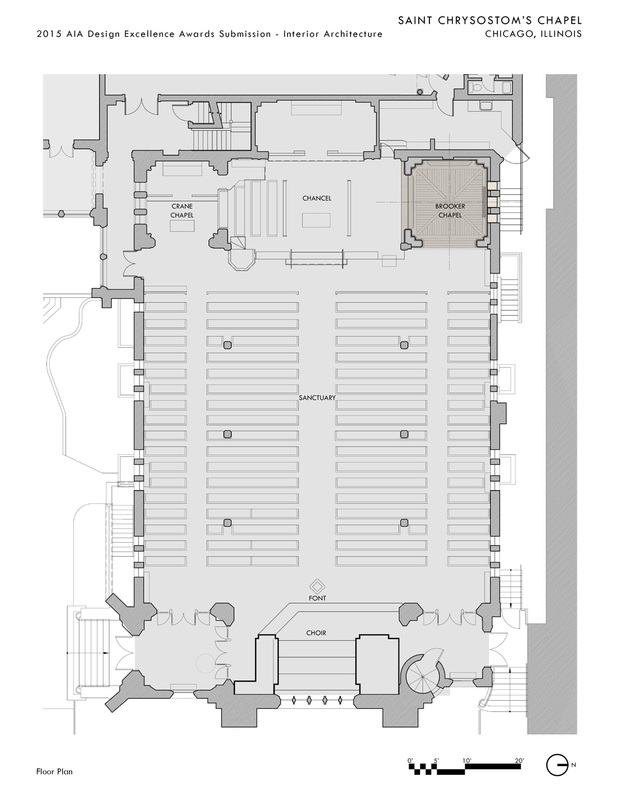 The Brooker Chapel’s vaulted space deferentially echoes the Crane Chapel’s volume, and can be configured for a variety of programming. 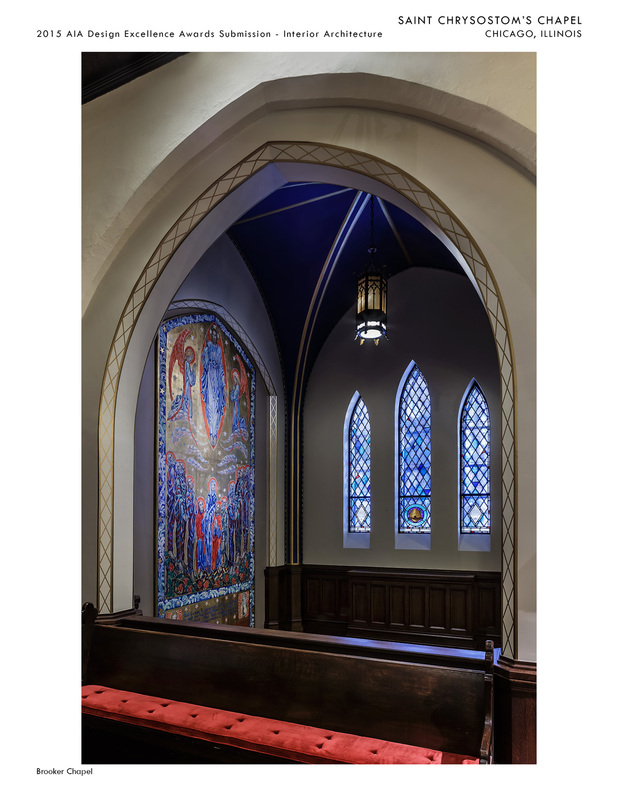 Its rich finishes, decorative painting and stained glass afford it a distinct identity that nevertheless resides comfortably in the Sanctuary ensemble. 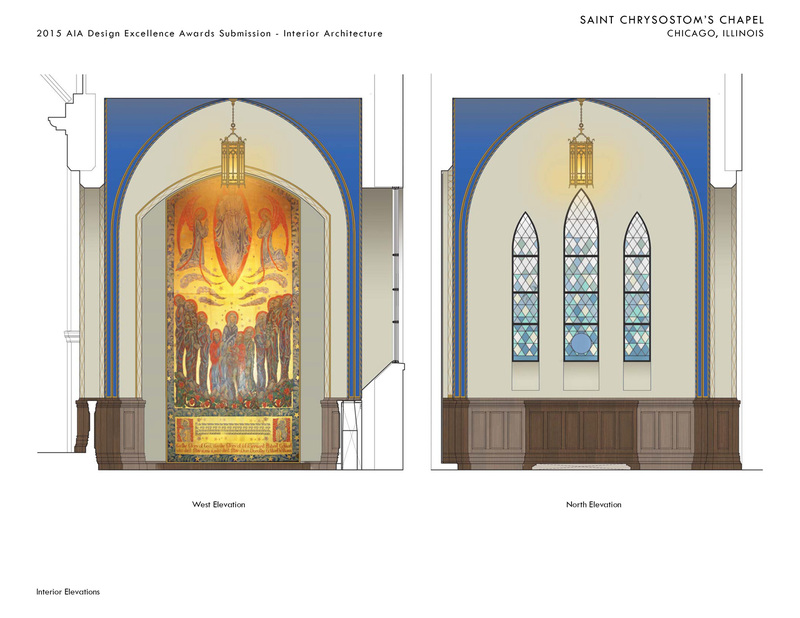 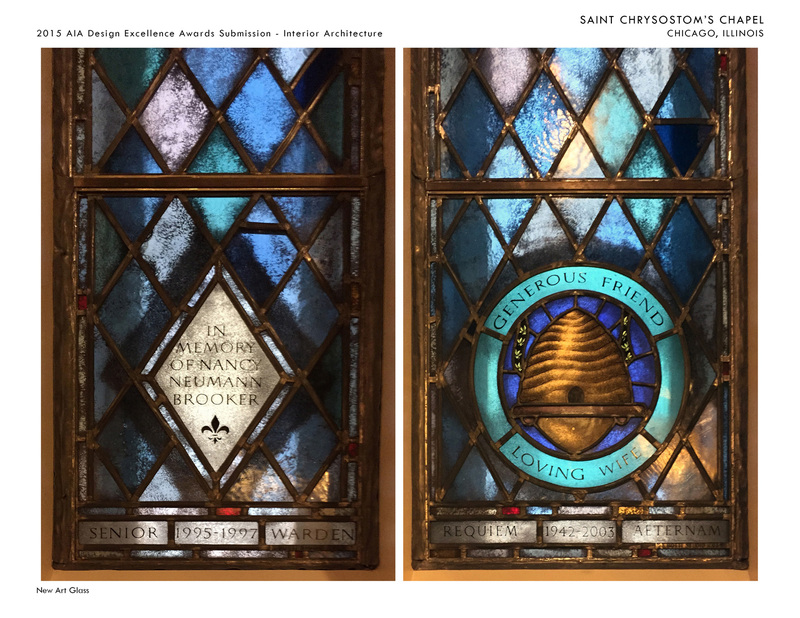 This entirely new space appears to have been ‘uncovered’, and its incorporation of a historic painting and newly-commissioned decorative arts elements celebrate the character, materials palette and scale of the Church while providing fitting tribute to its namesake, a beloved steward and benefactor of St. Chrysostom’s.